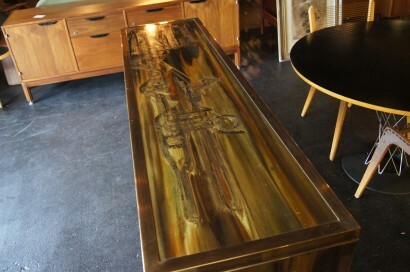 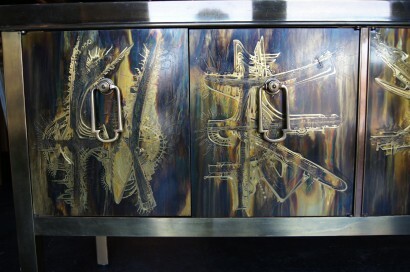 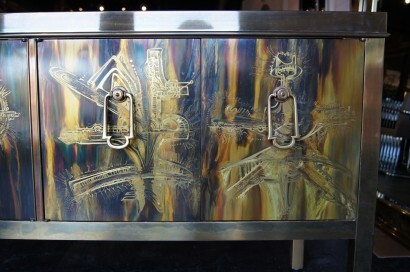 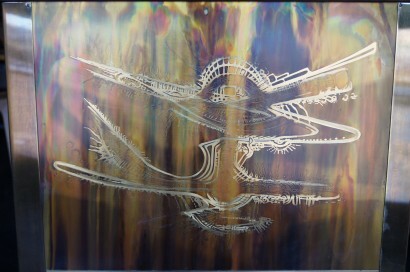 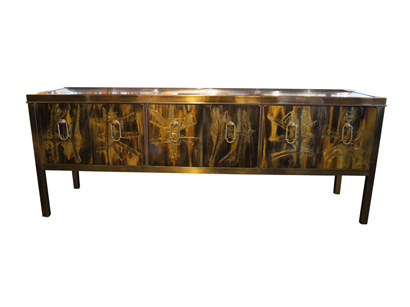 This stunning sideboard is brilliantly decorated with acid-etched designs in iridescent shades. 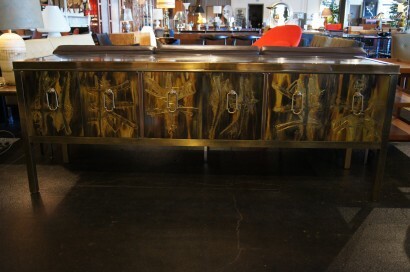 Three cabinets provide ample storage. 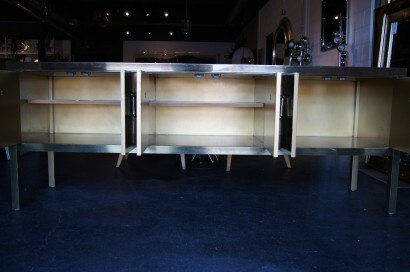 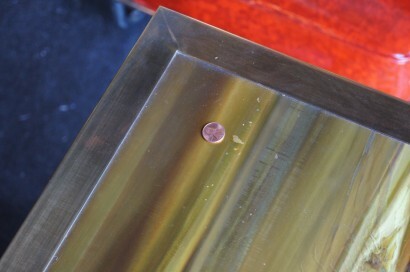 The first cabinet has a fixed shelf and the second has an adjustable shelf.